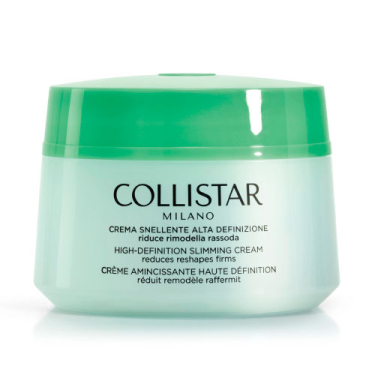 Reduces localized lumps and adipose deposits;Leaves the body soft and toned;Gives firmness and compact. 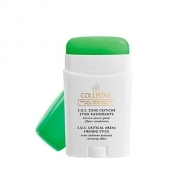 High Definition Slimming Cream from Collistar is a high definition cream that combines efficacy and a pleasant texture, easy to massage. Multi-active formula: slimming, hardening and perfection thanks to the combination of two substances used for the first time in a body treatment: Spirulina Alga Italiana, selected in collaboration with the University of Siena, and Ganoderma lucidum, together with lipolytic and draining active ingredients , vitamins and soft focus powders that have a filling effect, leaving the skin looking instantly perfect.